For heavy stamping and small die applications with concentrated loads, rigidity and heavy frame strength are a must. 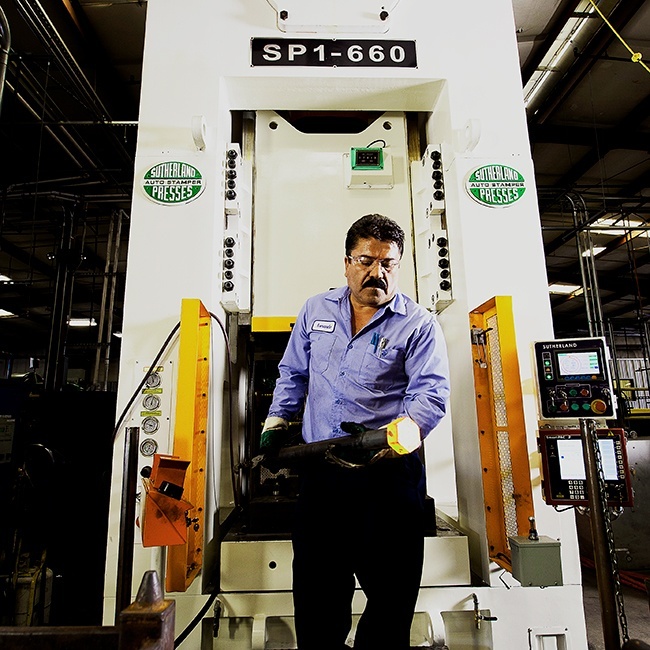 Sutherland’s SP1 Single Point Straight Side Press is built for the task, available from 220 to 1000 ton capacity. A high-strength monoblock frame design allows this press to cover a wide range of heavy duty applications. The SP1 can be equipped with a single gear or link motion drive, and incorporates a front-to-back shaft gearing in a self-contained oil bath.